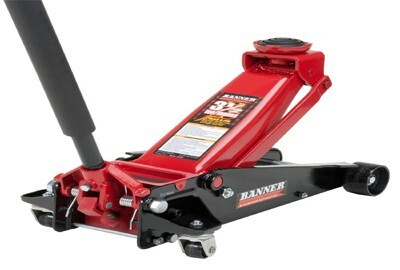 To change tires or working to the undercarriage of the car, we need the best floor jacks. Without lifting the vehicle, it is impossible to work with perfection. There are several brands available in the market with different types of products. It is difficult to find the best ones. Hence, we have reviewed the products and made a list of top 7 ones. 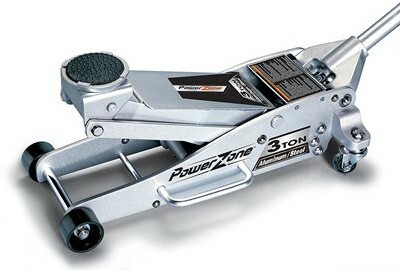 Powerzone 380044 is manufactured by “Milestone Tools” which is a reputed company. It is a heavy duty but low profile floor jack with a maximum capacity of 3 tons. It is made of aluminum and steel, so it has the capability to do your job. Its hydraulic lifting system works flawlessly. There is a rubber padded saddle so the body of the car is always protected from any scratch. The overall performance of the product is satisfactory. Hence, we have marked it as the #1 product in the market. Let’s see the major pros and cons of it. Heavy Capacity – 3 Tons (6000 Pounds). Lifts from 4″ to 18-1/4″. Combination of Aluminum and Steel made it Lightweight (59.1 Pounds). Rubber on Saddle to Protect Vehicle. We put it on #2 because of its capacity which is 2 Tons. Otherwise, this product has all the features like the first one. If your vehicle is not too weighty, you can definitely choose this one. Its price is also lower than others. Moreover, the product is quite lightweight which gives you the opportunity to move it easily through your garage. It is great for low ground clearance vehicles as the minimum saddle height is only 3.5″. 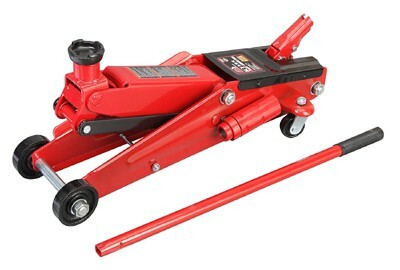 Hence, any vehicle above 3.5″ can be lifted with this jack. The maximum height is 19.25″ which is good enough to handle all the works under your vehicle. Lastly, the weighs is 13″, good for any task. Very Lightweight (49 Pounds) Jack. Low-Profile Product (3.5″ to 19.25″ Height). Low Priced Compared to Similar Ones. Arcan XL2T is another excellent quality jack with 2 Tons lifting capacity. It is extremely low profile jack. The minimum height is 2.75″ which is suitable for most of the sports and sedan cars. Hence, it is focused on the low ground clearance vehicle; the lifting capacity is high enough. It is equipped with dual pump which gives rapid lifting ability. However, as it is a steel jack the weight is 97 pounds which is heavier than others. Extra Low-Profile Jack (Minimum 2.75″). 2 Tons (2000 Pounds) Capacity. Steel Structure for Longevity of the Jack. 2009 ASME PALD Standard Passed. Powerbuilt 620422E is another high-quality heavy duty jack which is suitable for cars, ATVs and even Trucks. 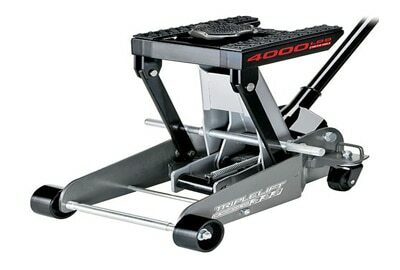 The product comes with a special feature which is removable lift saddle and rail. Its extreme flexible design allows you to use it on any type of vehicle. It has “triple lift auto” which works great for quick lifting. However, its lifting range is 6″ to 17.5″. If your vehicle is lower than 6″, this jack may not work for you. Heavy Duty 2 Tons Capacity. High-Quality Material for Long Life. Removable Lift Saddle and Rails. Tie Down Loops, Especially for Motorcycles. 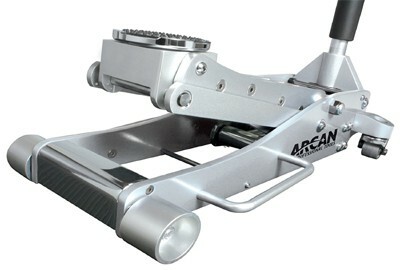 Arcan is a reputed brand in the jack industry and they have introduced this Arcan ALJ3T Aluminum Floor Jack which has the maximum capacity of 3 Tons, that’s huge. But, the interesting thing is, the product weight is only 56 pounds. It is a low-profile jack with a minimum height of 3.6″. It has all the essential safety features with a high-quality hydraulic system. Lightweight Jack (Only 56 Pounds). Dual Pump for Quick Lifting. Height Range 3.6″ to 19.4″. Quality Arms for Extra Strength and Durability. 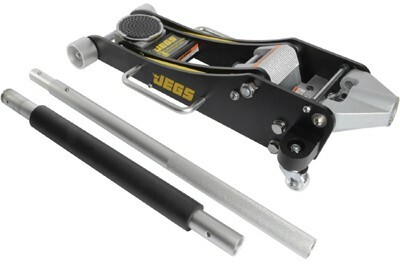 This is a heavy lifting floor jack built specially for trucks and SUVs. This is not a low profile jack. The minimum height is 6″ but the maximum height is 21″ which is essential for SUVs and trucks. It is a simple jack with a long life and durability. 3 Tons (6000 Pounds) Capacity. Built for SUVs and Trucks. Extended Height (Up to 21″). Extra Long Neck for Easy Lifting. Not Good for Small Vehicles. It is a 3.5 tons jack! You can estimate how strong it is. This product is extremely good for heavy vehicles like trucks and SUVs. It comes with fast lifting technology. As it is meant for heavy vehicles, it comes with a minimum height of 5.5”. However, the maximum lifting height is 22” which is pretty impressive to work under heavy trucks. Heavy Duty Jack with 3.5 Tons Capacity. Steel Body and Rolled Plates. Maximum Lifting Height is 22″. Has Safety Valve and Bypass Device. The Handle Doesn’t Raise Full Vertically. 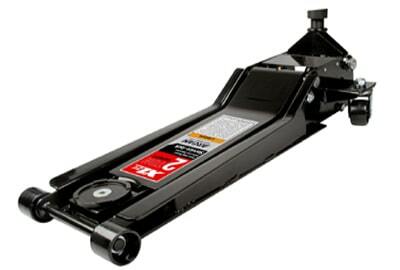 There are tons of products on the market and finding the best floor jacks is difficult for a common person. Above, we have discussed the top-notch products. We recommended choosing from #1 to #5 if you work most of the times with small vehicles. For trucks or SUVs, you can choose any of the #6 and #7.